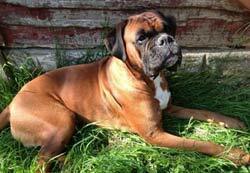 Boxer is a fun-loving family dog, the Boxer has a good sense of humour and a genuine willingness to please. A smart individual with energy to burn, the Boxer remains a puppy for most of its life. 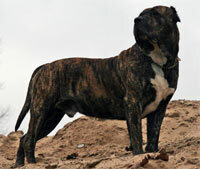 The breed was developed in Germany in the late 1800s, where its ancestors were used by butchers for baiting bulls. Boxer is playful, exuberant, inquisitive, attentive, demonstrative, devoted and outgoing; it is a perfect companion for an active family. It can be stubborn, but it is sensitive and responsive to commands. Maltese is a toy dog covered from head to foot with a mantle of long, silky, white hair. He is gentle-mannered and affectionate, eager and sprightly in action, and, despite his size, possessed of the vigor needed for the satisfactory companion. For all his diminutive size, the Maltese seems without fear. His trust and affectionate responsiveness are very appealing. He is among the gentlest mannered of all little dogs, yet he is lively and playful as well as vigorous. Briard is one of four French Sheepdog breeds. The breed has something of a reputation as a rough, tough, aggressive working dog, but proper Briard temperament is better described as outgoing, sweet and willing to please, with strong guarding instincts. This breed has a fine memory and is intelligent with a lot of ambition. The Briard is very trainable, willing and eager to please. Some of the Briards talents are search & rescue, police work, military work, herding, watchdog and guarding. The Briard can be any of several different solid colors or lighter colors with darker or light ears and face. Briards stand 58 to 69 cm (22 to 27 inches) at the withers. Briard is also called a heart of gold wrapped in fur. Once they have bonded to their family members, they will be very protective. Belgian Malinois, Belgian Shepherd, Malinois, Malinois Chien de Berger Belge, Mechelse Shepherd are known names for this dog breed. Belgian Malinois was named after the Belgian city of Malines it’s a working dog that is accustomed to an active outdoor life. Belgian sheep herding breeds, collectively known as chiens de berger Belge, shared their early history as general-purpose shepherds and guard dogs in Belgium. Belgian malinois also stands in need of constant socialization. They would much rather prefer to be with the family or other dogs than alone in a cage. Afghan Hound is thought to be one of the oldest of all domestic Dog breeds, with the first records of the Afghan Hound dating back to 4,000 BC. A vast amount of research, however, has turned up no basis for the once popular belief that the Afghan Hound existed in Egypt thousands of years ago, or for the theory that the breed evolved on the steppes of Asia and represents the original sight hound. Afghan Hound was first bred in the ancient deserts of Egypt and Afghanistan, where they were primarily used as hunters. Afghan Hounds are Sighthounds – dogs that hunt their prey by sight, chase it and kill it. The high hip-bones of this Dog are thought to be one of the main reasons why the Afghan Hound once had a reputation for speed, making them faster at running than most other domestic Dog breeds today. 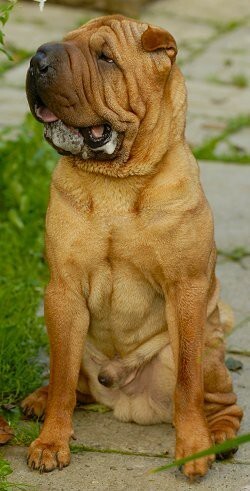 The breed is known for an independent streak which is usually noted by the dog seeming to not hear commands, especially a call to come back when they are out running and playing. The Afghan Hound is tall, standing in height 24-29 inches and weighing 45-60 pounds. The coat may be any colour, but white markings, particularly on the head, are discouraged; many individuals have a black facial mask. The temperament of the typical Afghan Hound can be aloof and dignified, but happy and clownish when playing. This breed, as is the case with many sighthounds, has a high prey drive and may not get along with small animals. The head of the Afghan Hound, like the body, is long and narrow, neck is long and arched, blending nicely into the long, sloping shoulders and the narrow but deep chest. Coat of the Afghan Hound is thick, long and very silky in texture. The most commonly seen Health Problems noted with the Afghan Hound are typically the heart, eyes and injuries to the tail. It is important to maintain your Afghan Hound’s health from puppy to adulthood and into old age. Sometimes puppies need additional help from their “human moms.” Clean teeth will help prevent gum disease in your Afghan Hound. Not all Afghan Hounds are show dogs, but a clean healthy coat will certainly enhance your enjoyment and delight in owning this beautiful breed of dog. Grooming is essential. Only those who really enjoy grooming, or are willing to pay a professional groomer to do it, should consider an Afghan Hound. Handsome, sensitive and independent, the Afghan is treasured by those who know and love him. The Afghan Hound is typically a one-person or one-family dog. Afghan Hounds prefer being inside with family. They’re laid back and calm in the house but are naturally active dogs and need daily exercise, which ideally includes a leash walk or run, plus a free-run in fenced area.